…the Alumni Zone, that is. I spent Saturday afternoon in the Ashenfelter Multi-Sport Facility, just below Beaver Stadium, helping staff the “Alumni Zone,” a post-Homecoming-game tailgate hosted by the Alumni Association. This was the third year for the Alumni Zone, but the first time I’d ever been able to be there, and it was pretty impressive. 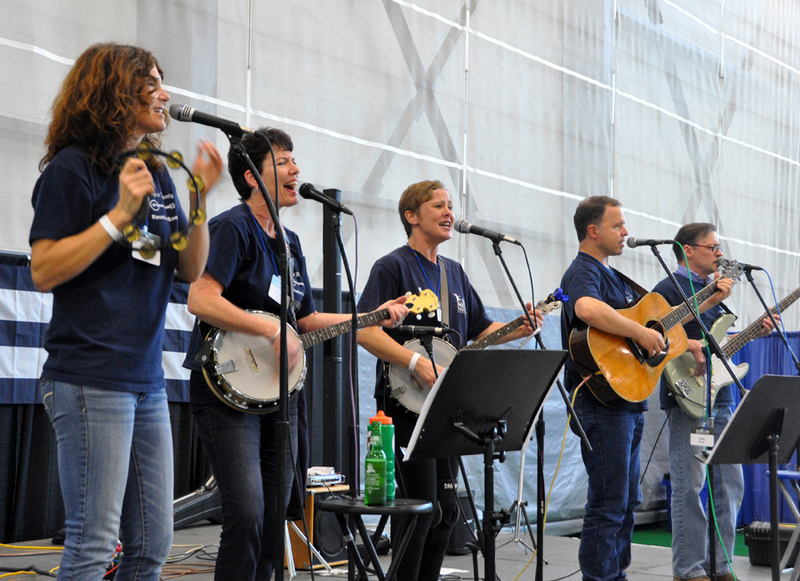 Patrons pay a flat fee for about three hours of music, games, beer and wine, unlimited food, and a chance to meet some Penn State celebrities. 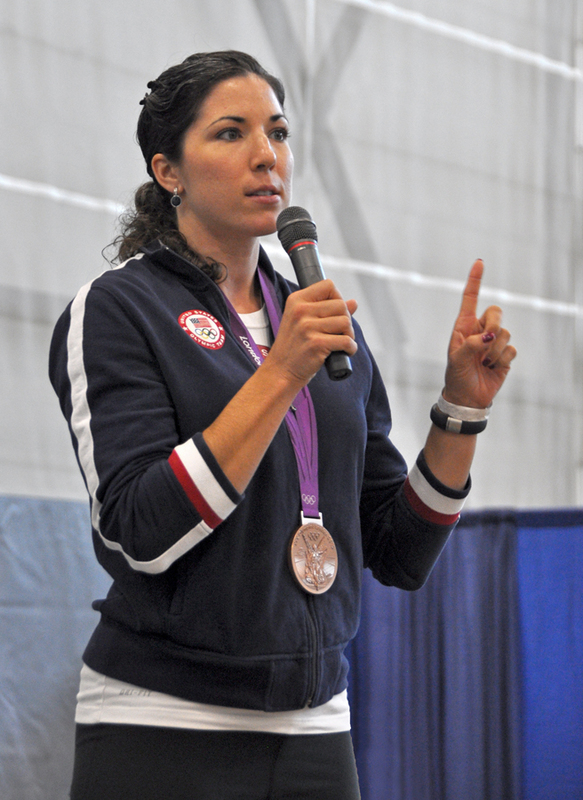 This year’s celebrities include several coaches, such as Cael Sanderson (wrestling), Mark Pavlik (volleyball), and Beth Alford-Sullivan (track/cross country); plus several Olympians (rower Natalie Dell ’07 and runner Dominique Blake ’08, among others); and pop singer Bex, who got her start as a Penn State musical theatre student. 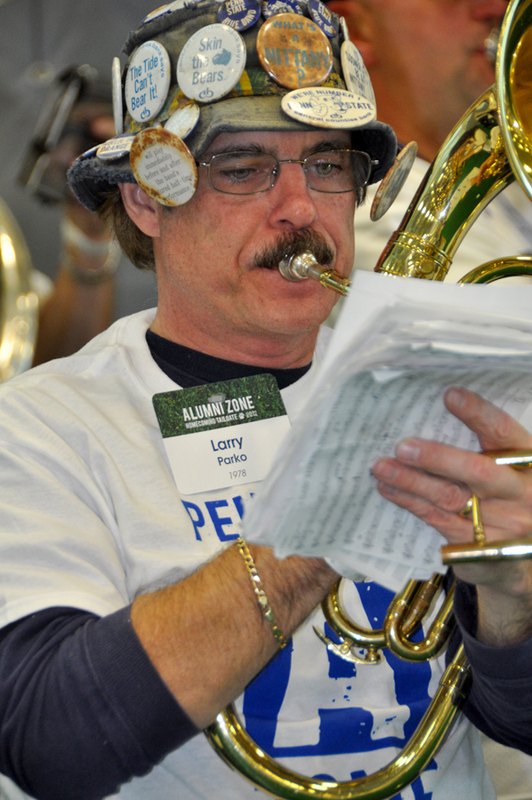 The music came from the Phyrst Phamly Reunion Band, pictured above, and from the Alumni Blue Band. We had a sellout crowd of well over 700, and a great range of ages as well—alumni from the 1950s, if not farther back, on up to 2012, and lots of little kids running around in the games area. Just a great family event. 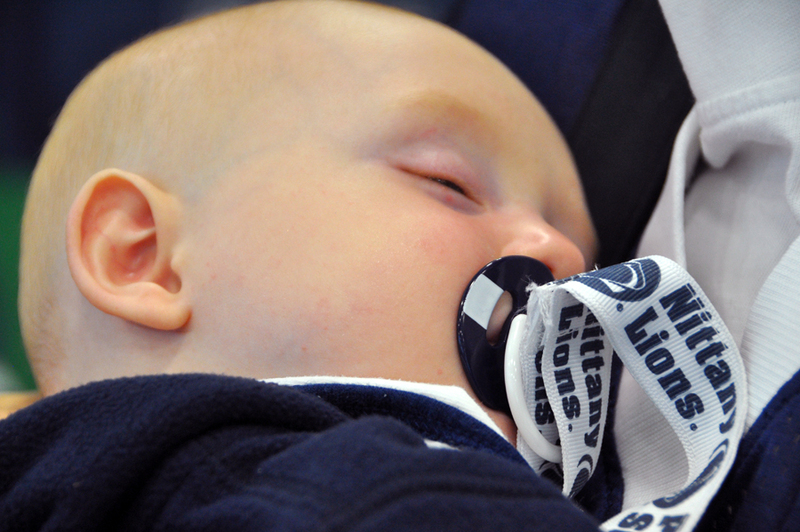 And here’s a very young Penn State fan sleeping through the whole thing. 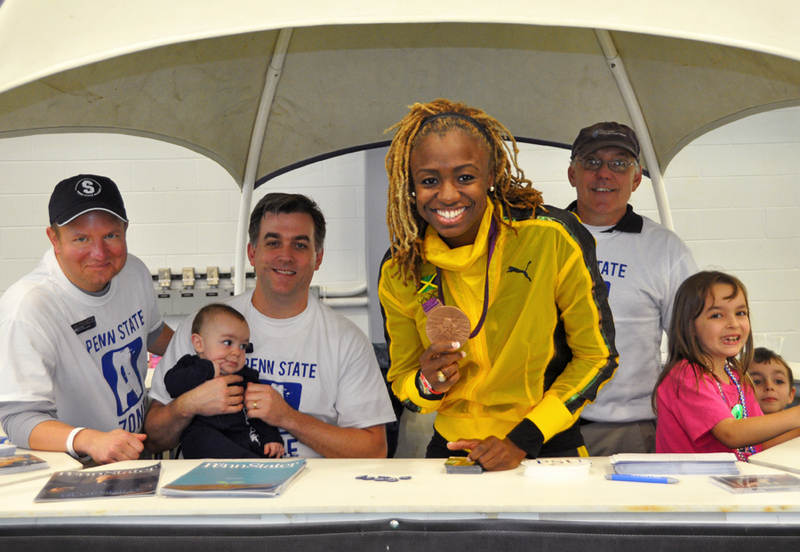 You can see more photos from the event on the Alumni Association’s Facebook page. Kudos to Michele Moore ’85 and the rest of the Alumni Association’s events team for pulling off an event that made a lot of Penn State fans very happy. Entry filed under: Alumni Association. Tags: Alumni Zone, Bex, Dominque Blake, Homecoming, Natalie Dell, Phyrst Phamly.